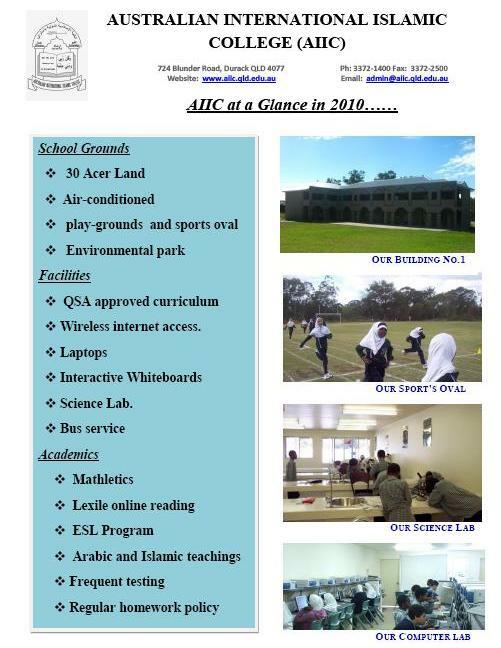 The Al-Mustapha Institute of Brisbane was formed in 2001 as a non-profit charitable organisation with the aim of providing the Muslim community with access to Islamic education from basic foundation levels through to the more complex Islamic degrees that will be available in the near future. 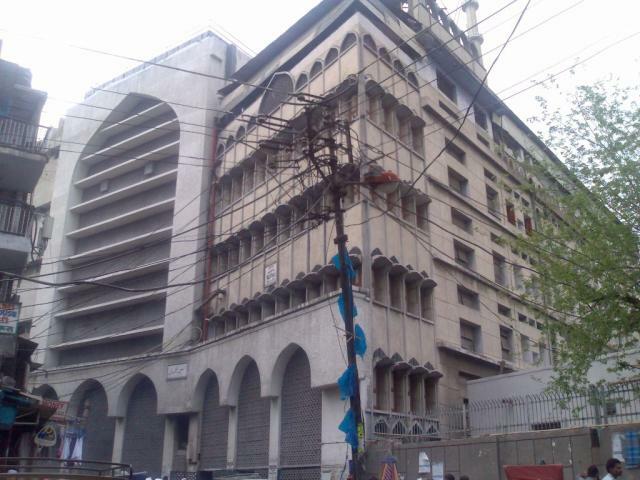 The Institute has, thus far, conducted Darus-e-Quran classes, dhikr programs, spiritual training camps along with regular spiritually uplifting and enlightening lectures on various Islamic topics. 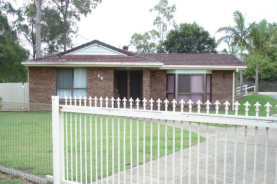 Al-Mustapha Institute of Brisbane has purchased a property (pictured left) at 39 Bushmills Court, Hillcrest to serve as a base from which classes will be offered. 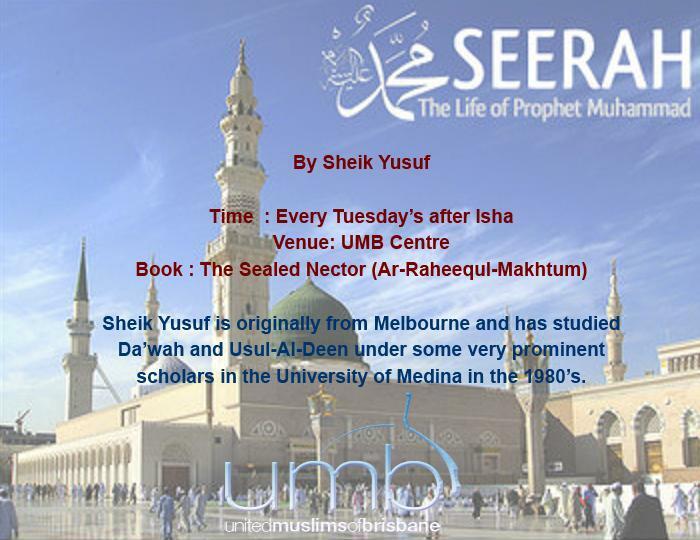 Currently dhikr programs are being held every Thursday night and a Fajr program every Sunday. 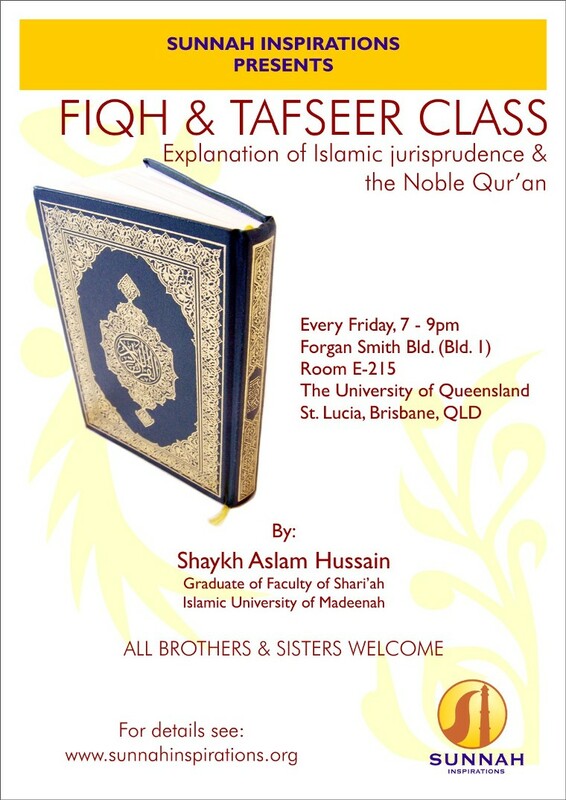 Starting shortly will be Tafsir classes, enabling participants to acquire an in depth knowledge and understanding of Surahs from the Holy Quran. 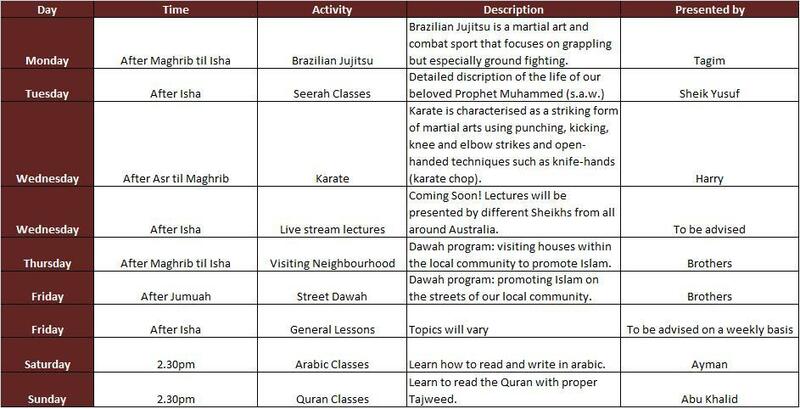 Islamic history classes will also be available along with Madressah three days per week. Al-Mustapha Institute of Brisbane also has plans to provide degree level courses in Islamic Law & Theology and to graduate Alims. 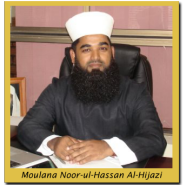 Further information may be obtained from the principal, Moulana Noor-ul-Hassan Al-Hijazi (pictured right) or their website www.almustaphainstitute.com. The Governor of Queensland, Penelope Wensley AO, has offered to be the first Patron of the Queensland Muslims Historical Society during the term of her appointment as Governor of Queensland. I have a keen interest in history and appreciate the important work the Society is doing to record the history of the Muslims in Queensland which I know to be an absorbing one. I was very pleased to be associated with the publication of the book marking the centenary of the Holland Park Mosque and greatly interested to learn of the Society's sesquicentenary project to publish a book on "Muslims in Queensland". I wish you continued success with your work and look forward to a rewarding association with the Queensland Muslims Historical Society, as its first Honorary Patron. 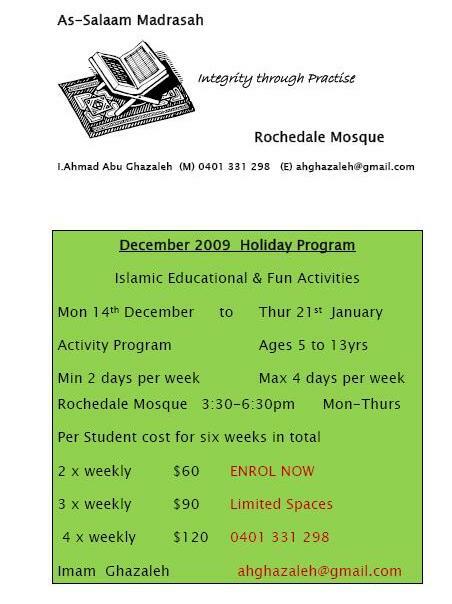 Copies of the book, 100 Years of History: Holland Park Mosque (1908-2008), are still available for purchase. 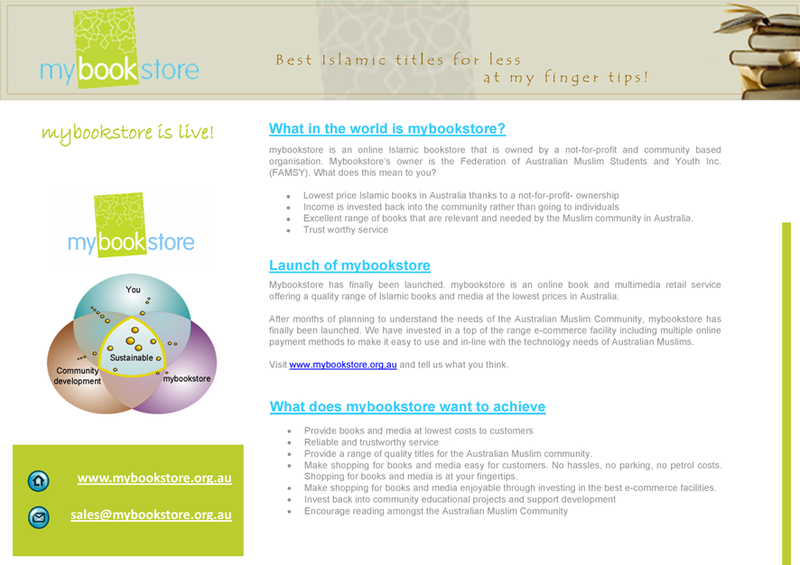 Send an email to qmhs786@hotmail.com to order your copy or call 0402 206 786. A recent survey of Muslim youth shows that despite the challenges of living as members of a religious minority, Muslim youth are adapting well to life in New Zealand. The Victoria University study examined life satisfaction, psychological symptoms, school adjustment and behavioural problems as indicators of psychological and social well-being in 180 Muslim youth, aged 13-19 years. 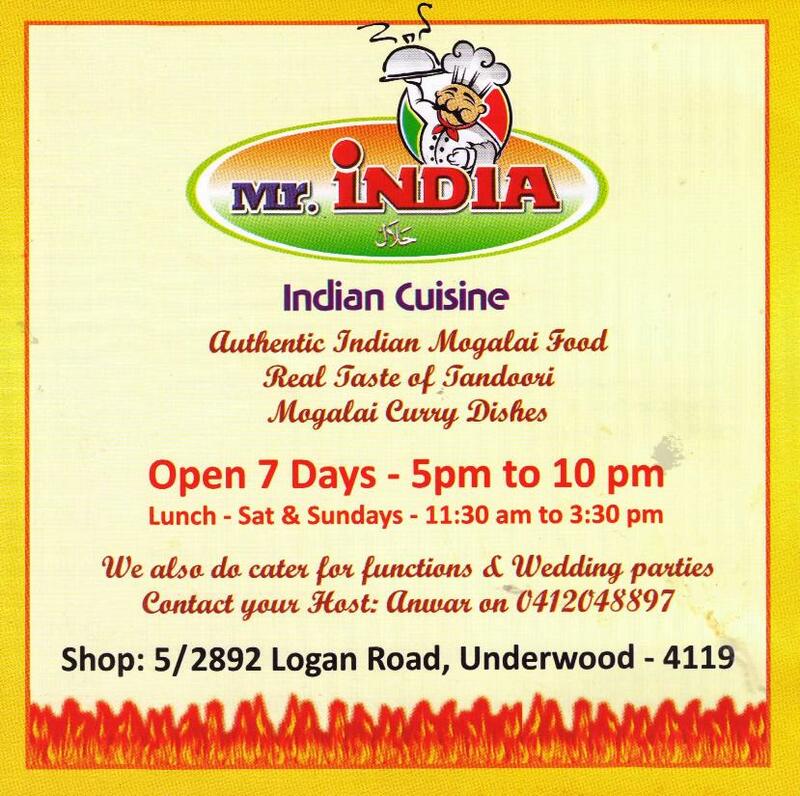 Immigrant and minority youth thrive when they are able to maintain their religious and cultural traditions and participate in a fair and equitable way in New Zealand society. Integration is beneficial for individuals, communities and wider society. The findings revealed that Muslim youth demonstrated more positive outcomes on all indicators than their Maori and Pakeha peers. The study also found that Muslim youth strongly identify as New Zealanders, but it is their identity as Muslim that predicts better psychological and social adaptation. Professor Colleen Ward from Victoria University�s Centre for Applied Cross-cultural Research believes that religion, strong family support and the relatively tolerant atmosphere in multicultural New Zealand facilitate psychological and social well-being amongst Muslim youth. "Immigrant and minority youth thrive when they are able to maintain their religious and cultural traditions and participate in a fair and equitable way in New Zealand society. Integration is beneficial for individuals, communities and wider society," said Professor Ward. The wedding of Ameer, son of Joe and Shaida Khan of Brisbane, and Farzanah, daughter of Cassim and Fouzia Peer of Brisbane was solemnized in the Masjid-ur-Rahma-Greenside in Johannesburg, South Africa on 3rd January. 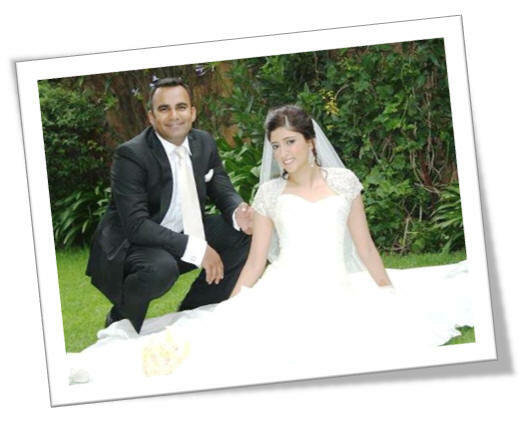 The wedding reception was held at the Emoyeni (Parktown-Johannesburg) and the walimha reception took place on 5 January in Cape Town. 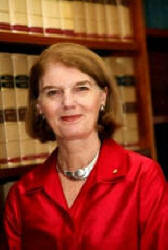 Each year the Australian Government decides the size and composition of Australia�s Humanitarian Program, taking into account the views of the Australian community, the views of peak refugee and humanitarian organisations, the views of government organisations and resettlement needs identified by the Office of the United Nations High Commissioner for Refugees. General information on the Humanitarian Program is available at www.immi.gov.au/visas/humanitarian. Alternatively, submission may be emailed to: humanitarian.submission@immi.gov.au but for submissions to be included in the consultation process, they need to be received by Friday 29 January 2010. TJ is avowedly a-political. It longs for heaven, and anticipates victory for Allah, but all bets are on it happening in the hereafter, not now in India or Pakistan � or Newham. The Government of Brunei Darussalam is offering annual scholarships under a special scholarship award scheme, commencing in 2010/2011 academic session. You can pursue MA studies at Aga Khan University, Institute for the Study of Muslim Civilisations in London, United Kingdom. For more information about AKU-ISMC and the Masters programme, visit this website: www.aku.edu/ismc/ma.shtml or send an email to ismc.ma@aku.edu or by telephone on (+44) 020 7380 3800. The AGM for the Muslim Business Network will take place on the evening of Wednesday 24 February 2010. Information will be sent to members shortly providing details about the process and venue. In the meantime, please keep this date free. On a related note, the executive committee members held a meeting recently to ascertain who will be continuing on the committee for the next period. At this stage, of the 8 existing members, at least 6 will be stepping down for various reasons. This presents a number of opportunities for those seeking to take a more active role in the operation of MBN and furthering its agenda. We encourage all Muslims from all walks of life to consider presenting themselves for nomination. The MBN was set up to benefit and serve the community. To the best of its abilities, it has sought to do that. However, in this time of need, we urge members of the community to come forward and become involved. MBN has built numerous relationships with various organisations and individuals since inception - the relationships that have helped our community move forward in many ways. With your help and active participation, MBN can continue with its work and reach even greater heights. We are hopeful that others will step in to fill the positions available on the Executive Committee and continue to support the MBN in its endeavours and pursuits which in turn are for the greater benefit of our community. 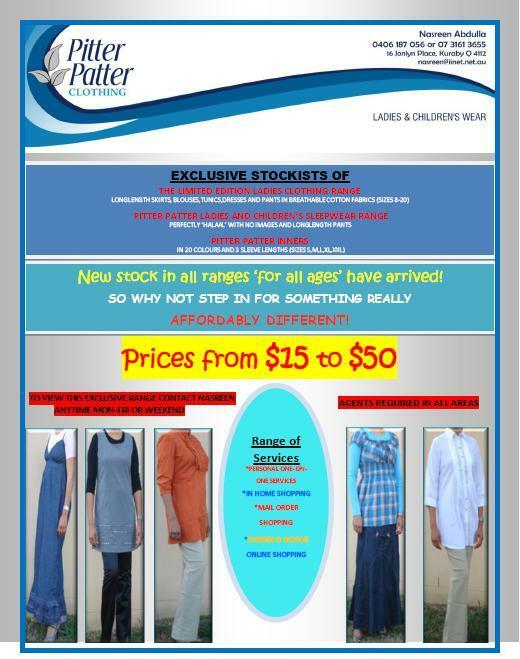 Please contact Shummis Rane on 0402 794 244 or Naseem Abdul on 0419 797 862 if you have any questions or wish to discuss. Anisha Esat has just started a wedding invitation business which provides beautifully designed cards at affordable prices. 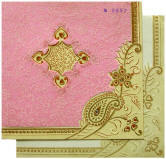 The cards are ethnic designs and Muslim designs in particular can be arranged. 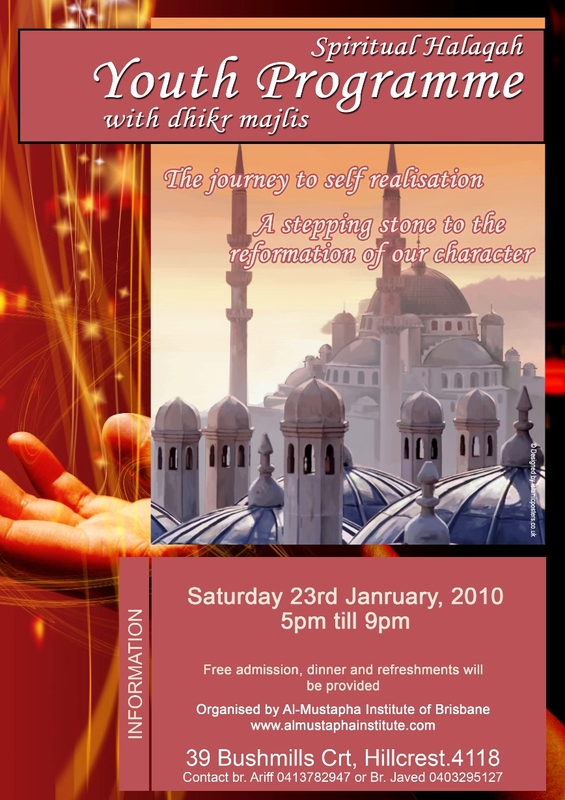 Ms Esat's website is at www.mashallah-invitations.com which showcases her range of invitations. 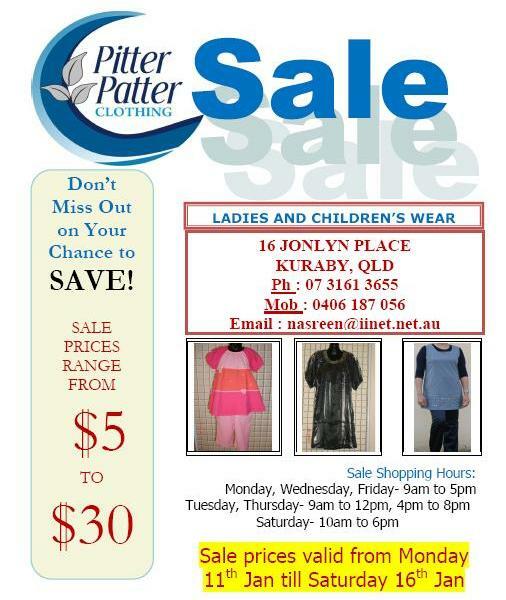 She also provides huge discounts to the community compared to the advertised prices as those prices are based on only 25pax. The Australian Muslim Youth Network (AMYN) is holding a fund raising BBQ this Sunday 17th January at 5:30pm at the AMYN Islamic Centre 16/157 North Road, Woodridge. The Mayor of the local Council and other dignitaries have been invited. The BBQ is to raise funds to help the Arte Family who lost their 14 year old son from drowning in Bulimba Creek during heavy rains. The mother and father have 9 children and are recent refugees to Australia. 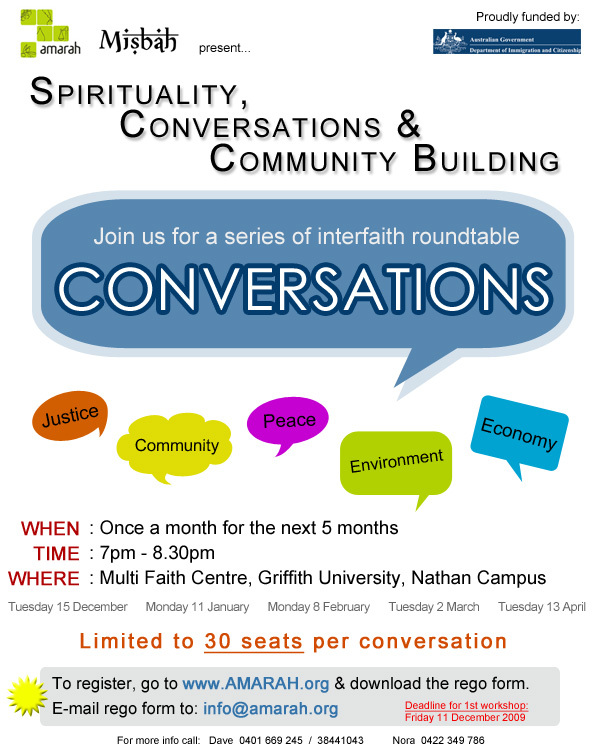 The Australian Muslim Youth Network (AMYN) is sending out an appeal for everyone to attend and to support this initiative. 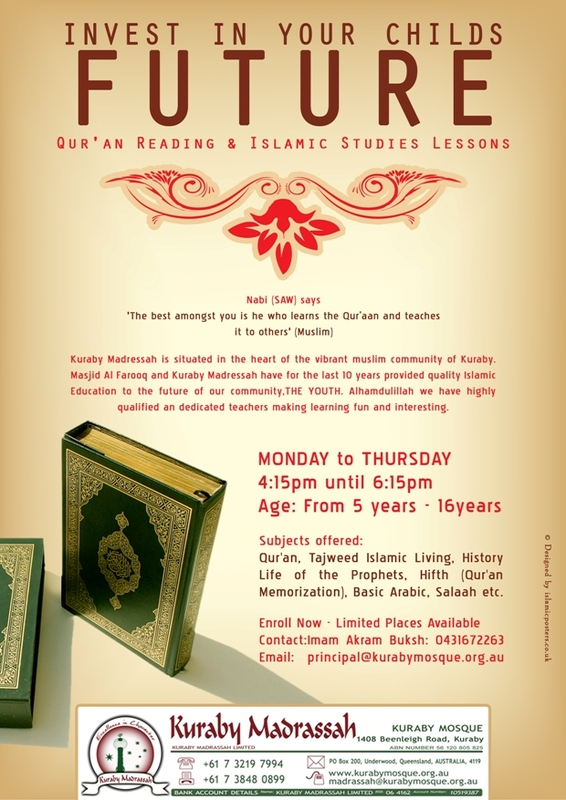 A Parent�s Day at the Gold Coast Mosque will be held on 31 January between 11am and 2pm. 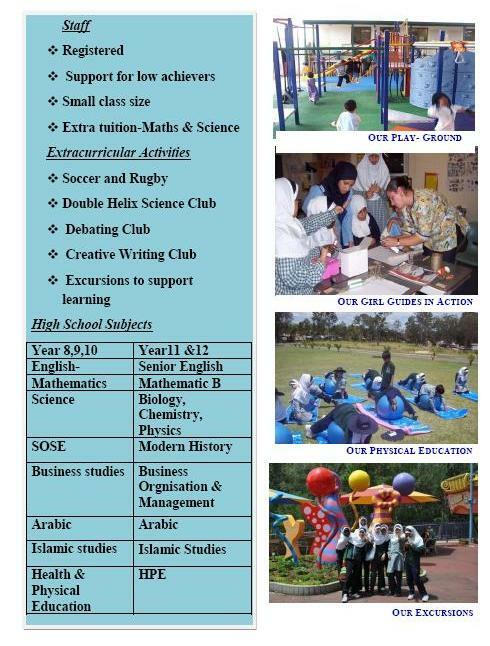 This is an opportunity for parents to learn about the Masrasah's activities, find out about enrolment, meet the mualims and mualimas; view the syllabus and enjoy a light lunch provided by the Madrasah Staff and the Management Committee. Take advantage of Free Insulation and Interest Free Green Loans from the government. Osman Latif, a member of the local community, would like to invite all community members to take advantage of a number of government incentives that are currently available to improve the energy and water efficiency of their homes. The prime objective of these government incentives is to tackle climate change. They include the Green Loans Subsidy and Home Insulation Program. Interest Free Green Loans of up to $10,000 are currently available from the government. To be eligible, a home owner must obtain a sustainability assessment of their home from an accredited government assessor. The evaluation usually takes a couple of hours, and the cost is covered by the government. Home owners will be provided with a tailored, expert report listing the most effective means to save on water and electricity bills, while increasing the comfort of their homes. The Green Loans program was introduced in July 2009 and the subsidy has been limited to 350,000 Australian homes. 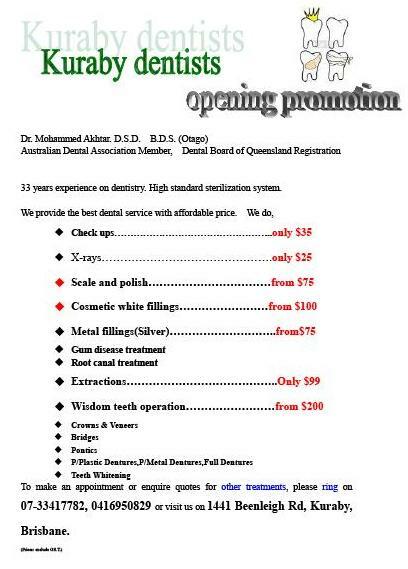 If you would like to take advantage of this limited offer, please contact Osman as soon as possible on 0400 766 836 to avoid disappointment. Osman is a government accredited sustainability assessor and can answer any further questions you may have. Installing ceiling insulation is one of the most effective ways to reduce your energy bills (by an average of $200 per year) and increase the comfort and value of your home. 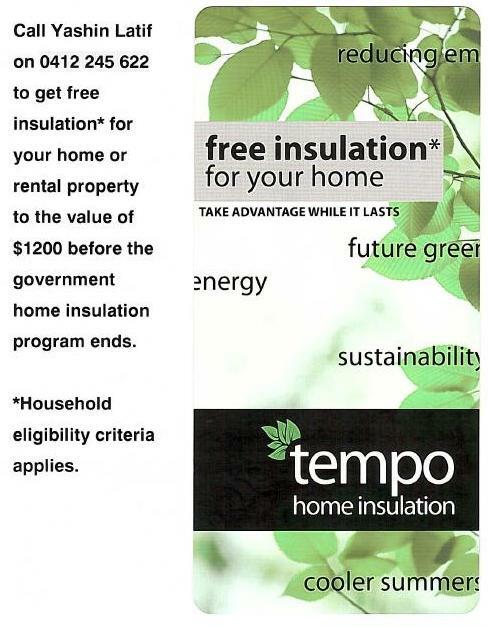 For a limited time, the government will contribute up to $1200 to the cost of insulating your home or rental property*. The home insulation program is expected to be cut at some point this year as the budget is capped. If any community members own a home or rental property that is not insulated they are urged to call Yashin Latif from Tempo Air Conditioning and Insulation (government registered installer EHP0006482) on 0412 245 622 for more information and to book your install. Yashin advises that most medium sized homes will be fully covered by the rebate (no out of pocket expense!). 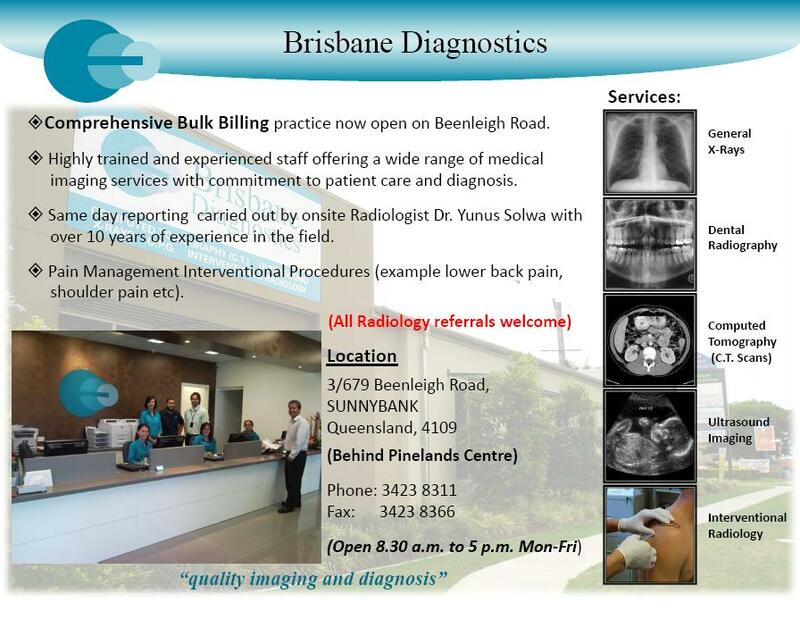 Call soon to avoid disappointment and to find out if you are eligible. * Household eligibility criteria apply. Al-nisa held a girls bowling day on Saturday 16 January. The day was enjoyed by all girls who attended. The aim of the event was to provide a fun and safe environment for girls to enjoy and make new friends. In the future the Al-nisa management committee aims to provide more fun events for young girls. Look out for future events! 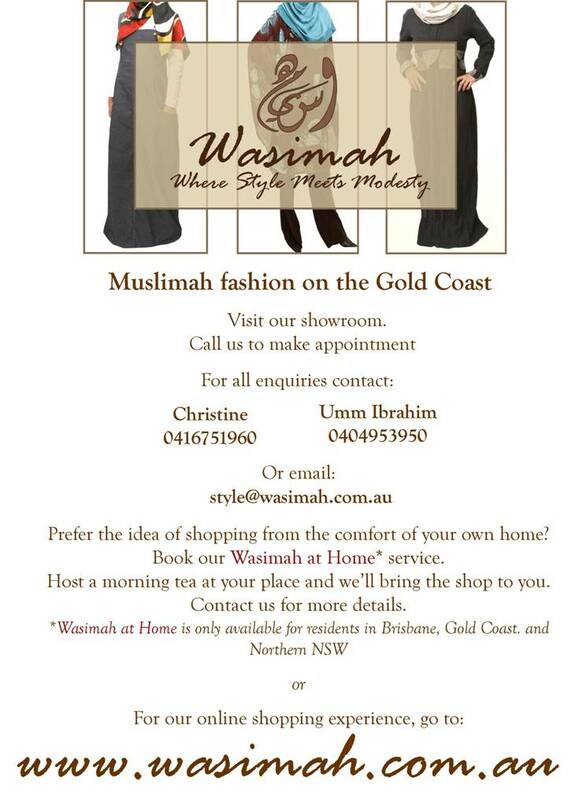 If you have any suggestions for events please email alnisaqld@gmail.com. We look forward to hearing from you. 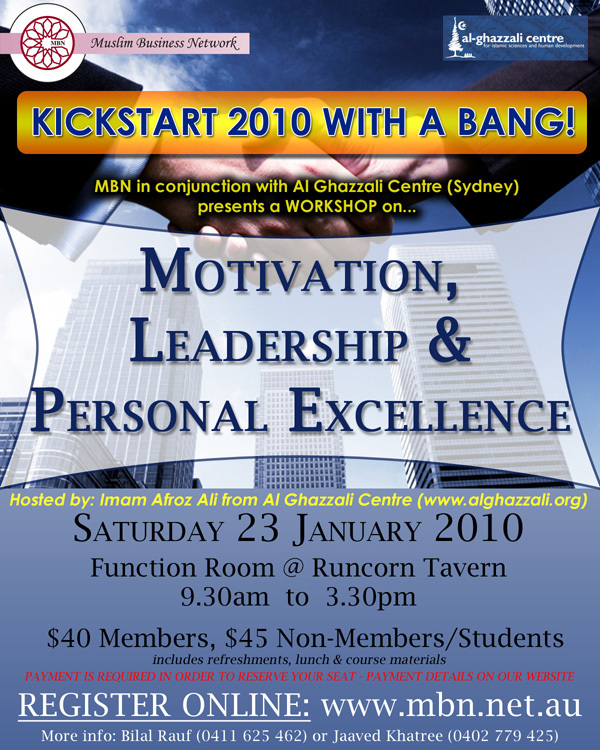 MBN is teaming up with the Al-Ghazzali Centre in Sydney to bring to Brisbane a full day motivational and leadership workshop. The workshop is based on material formulated by organisational and motivational psychologists. It has been assessed against Islamic principles. The workshop is designed to help participants to identify natural ways and mannerisms in being motivated to act or not to act and help with identifying the reasons why an individual may procrastinate or operate on auto-pilot. Participants will complete worksheets and develop strategies to achieve in their important pursuits, be they in relation to careers, businesses or studies. 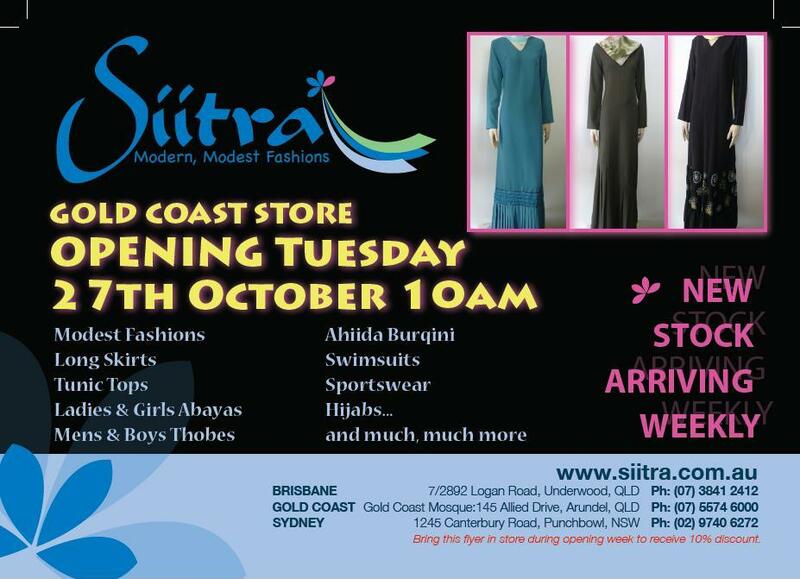 The workshop will be conducted by Sidi Afroz Ali of the Al-Ghazzali Centre based in Sydney. He has run this workshop for corporations, social and welfare organisations, students and Islamic communities in Australia and abroad. The workshop will be held on Saturday, 23 January 2010, in Runcorn from 9.30am to 3.30pm. 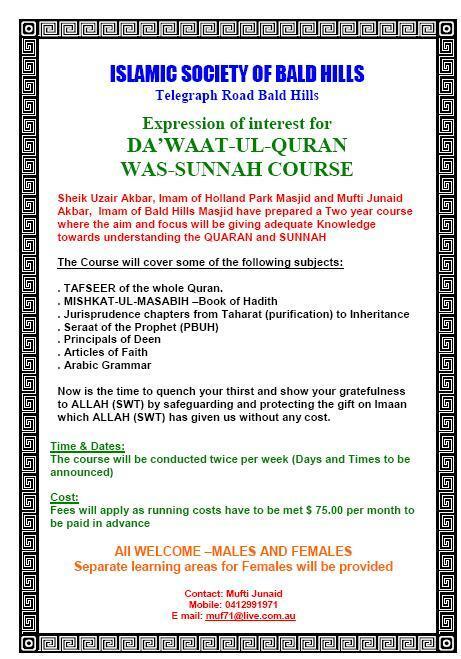 It would cost a few hundred dollars to attend a workshop such as this. 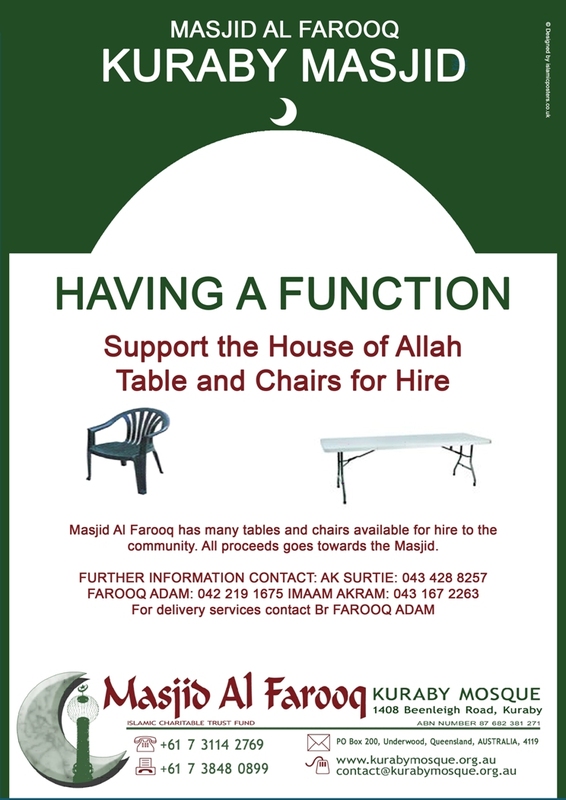 However, on this occasion and to maximise the benefit and opportunity to the Muslim community, a nominal cost is being charged which includes all course materials, refreshments and lunch. 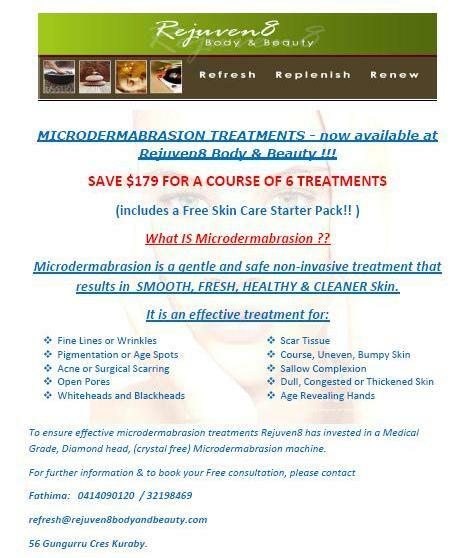 Contact Bilal Rauf on 0411 625 462 or see the website www.mbn.net.au for more details and to register. 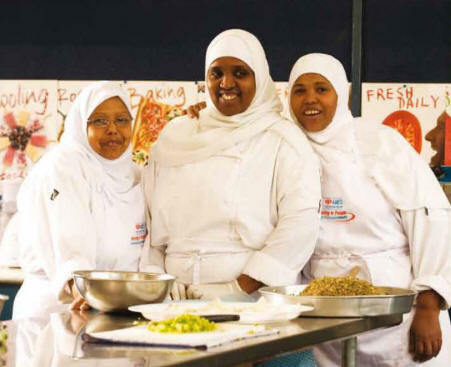 The Australian Journey � Muslim communities, a new DIAC publication, is characterised by contributions of Muslims from all over the world who have made Australia home. In this, and following issues of CCN, we highlight one of the successful Muslims in Australia from the report and their thoughts about what it means to be both a Muslim and an Australian. backgrounds, have established a thriving catering business providing school lunches to the students at Carlton Primary School and Brunswick South Primary School as well as providing traditional food for the local community. Being a good Muslim and respecting others, I feel I am a role model for my community as well as Australians. You can work and be successful. As a Muslim and as a single mum, life can be hard still. Though it makes me happy to work and be part of my community and this enables me to promote healthy eating for all children and helps young Australians learn about African food and culture. I always endeavour to work hard and be a good member of the community. Hopefully showing young Australians and the community that anything can be achieved if you want and if you make an effort, even if my English is not so good. A Bangladeshi taxi driver in New York City has gone out of his way to track down the person who left $21,000 in cash in the back of his cab�and he refused to take any reward. Mohammad Asadujjaman's mother may not have schooled him in the quickest routes through the mean streets of the Big Apple or the best ways to negotiate with its famously plain-speaking inhabitants. But she does appear to have imbued the 28-year-old New York taxi driver with an even greater gift: incorruptible honesty. On finding that an Italian tourist had left a handbag containing more than $21,000 (�13,000) in cash - not to mention jewellery worth thousands more - on his backseat on Christmas Eve, the Bangladesh-born cabbie knew exactly what to do. He rummaged through the bag until he found an address in Long Island. Then he rang a friend with a car and embarked on a 50-mile trip in the hope of handing over his find to someone who knew his fare, 72-year-old Felicia Lettieri from Pompeii. When his knocks at the house belonging to Lettieri's sister, Francesca, went unanswered, Asadujjaman left his mobile number and a note reading: "Don't worry, Felicia � I'll keep it safe." A little while later the phone rang and he headed back to the Long Island address to return the bag and keep his word. "They were so, so, so happy," said Asadujjaman, a student who began driving a cab about three months ago after his hours were cut back at a factory. Felicia Lettieri's absentmindedness had briefly threatened to ruin the family's holiday. The bag, which she forgot while she and six other relatives were travelling in two taxis from midtown Manhattan to Penn station on 24 December, also contained some of the group's passports. Police advised the tourists they had little chance of recovering the lost goods. Francesca Lettieri said Asadujjaman's honesty had averted disaster. "We really love what he did," she told Newsday. I'm needy, but I'm not greedy. The cabbie himself shrugged off the incident, saying he had been taught never to take advantage of people. "My mother is my inspiration," he said. "She always said, be honest and work hard." Despite conceding that such a large amount of money would have allowed him to focus on his studies, Asadujjaman insisted he was not tempted to keep it: "My heart said this is not good." He also declined the reward the Lettieri family offered him, saying that as an observant Muslim he could not accept it. Pure-hearted taxi drivers are not as rare as some might think. Two years ago, the Grammy-nominated violinist Philippe Quint left his $4m (�2m) Stradivarius in a New Jersey taxi after flying in to Newark airport at 3am. Despite fearing that he would never see his 285-year-old ex-Kiesewetter violin again, Quint was eventually informed by the airport that the driver, Mohammed Khalil, had returned the precious instrument. To show his gratitude, Quint handed Khalil a $100 tip and free tickets to his next Carnegie Hall concert. He also gave a kerbside recital at the airport taxi rank to an audience of 50 cabbies. SALT LAKE CITY -- With its missionaries in Haiti all safe, The Church of Jesus Christ of Latter-day Saints is beginning its humanitarian-relief efforts in the wake of Tuesday's massive earthquake and Wednesday's aftershocks in the Caribbean island nation. Within 24 hours of Tuesday's quake, the Mormon Church joined forces with one of its major partners of late in providing humanitarian aid, Islamic Relief USA, the nation's largest Muslim relief organization. Islamic Relief USA officials announced Wednesday they were flying $1 million of aid to Haiti in cooperation with the LDS Church. Collaborative relief efforts between Islamic Relief USA and the LDS Church have spanned not only the U.S. but have dotted the globe as well. One of the most recent major partnerships came when the two combined to respond to the October 2009 Pacific Rim earthquakes with a massive aid shipment of food, supplies and equipment to Samoa -- the LDS Church providing the supplies and Islamic Relief USA covering the cost of the airlift. A PROFESSOR who has been instrumental in tackling killer diseases across the globe, has been nominated for a lifetime achievement award by the health publication, the British Medical Journal. Prof Alimuddin Zumla (pictured left) is formerly from Zambia and is one of only 10 people shortlisted from around the world, after 117 people were put forward in the category. The award aims to recognise health professionals who have made a unique and substantial contribution to improving healthcare. 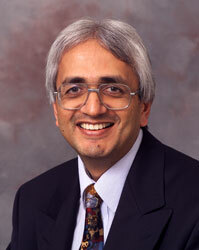 Mr Zumla, aged 53, from Heaton, has devoted his career to combating HIV, AIDS and tuberculosis. He is currently professor of infectious diseases and international health at University College London and divides his time between the capital and Bolton. His achievements include setting up research and training programmes in Africa, Europe and America, influencing global health policies, securing more than �49 million in grant funding and producing more than 300 publications. Prof Zumla said: �I am proud to be nominated, and proud of my team as well, who have helped me, and my family, especially my wife, who has really supported me. Prof Zumla was born and educated in Zambia, travelling to London in 1980, where he did further training as well as travelling to America. He works from his London base but travels the world and moved to Bolton four years ago. He contracted meningitis soon after arriving in London, was in a coma for three weeks and spent 18 months recovering after being paralysed from the neck down. His career which spans more than 30 years, has focused on highlighting the plight of those who suffer from HIV, AIDS and TB, and looking at treatments, tests and vaccines. Prof Zumla is married to Farzana, aged 46, and they have two children, Adam, aged 16, who attends Bolton School, and Adeela, aged 24, who works in Cambridge. All the BMJ Group Award winners are chosen by expert panels, except for the lifetime achievement award, which is voted for by the public. Voting is now open at www.bmj.com, with a deadline of Monday, February 15. The winners will be announced at a ceremony in London on March 10. [Editor] A CCN reader, who is well acquainted with the achievements of Prof Zumla, has written in to CCN asking readers to consider voting for Prof Zumla at www.bmj.com. The American-based organization, CAIR, is calling on American Muslims and other people of conscience to help fund repairs to Malaysian churches damaged by vandals. The attacks on the churches came following a court ruling that overturned a ban on the use of the word �Allah� by Christians in that nation. Malaysian Muslim and ethnic Malay leaders have criticized the church attacks, saying they are contrary to the teachings of Islam. Donations to the �CAIR Spirit of Islam Fund� (SEE: www.cair.com) will be given to the Malaysian embassy in Washington, D.C., for delivery to the churches. He noted that CAIR has taken action to defend the American Muslim community from similar hate crimes, including acts of vandalism at mosques nationwide. Why would a former Guantanamo Bay prison guard track down two of his former captives - two British men - and agree to fly to London to meet them? "You look different without a cap." "You look different without the jump suits." With those words, an extraordinary reunion gets under way. The last time Ruhal Ahmed met Brandon Neely, he was "behind bars, behind a cage and [Brandon] was on the other side". The location had been Camp X-Ray - the high-security detention camp run by the US in Guantanamo Bay. Mr Ahmed, originally from Tipton in the West Midlands, was among several hundred foreign terror suspects held at the centre. Mr Neely was one of his guards. The scene of this current exchange of pleasantries couldn't be more different from where they last met - a television studio in London. Also here is Shafiq Rasul, a fellow ex-Guantanamo prisoner, without whose Facebook page the reunion would never have happened. He would say, 'you ever listen to Eminem or Dr Dre' and... I thought how could it be somebody is here who's doing the same stuff that I do when I'm back home. The journey of reconciliation began almost a year ago in Huntsville, Texas. Mr Neely, 29, had left the US military in 2005 to become a police officer and was still struggling to come to terms with his time as a guard at Guantanamo. Highly controversial since it opened in 2002, Guantanamo prison was set up by President George Bush in the aftermath of the 9/11 attacks to house suspected "terrorists". But it has been heavily divisive and President Barack Obama has said it has "damaged [America's] national security interests and become a tremendous recruiting tool for al Qaeda". The prisoners arriving on planes, in goggles and jump suits, from Afghanistan were termed by then US defence secretary Donald Rumsfeld as the "worst of the worst". But after getting to know some of the English-speaking detainees, Mr Neely started to have doubts all of them were fanatical terrorists. He recalls how when he and Mr Ahmed chatted through the bars at Guantanamo, they had a surprising amount in common. WASHINGTON -- As she flew from Richmond, Virginia, to Detroit, Michigan, on the same day of the failed December 25 plane bombing attack, Alya Ali felt no difference in the level of airport or flight security. But her return trip a week later after visiting her family was a totally different experience. "There was a lot of tension, but everyone was cooperating. 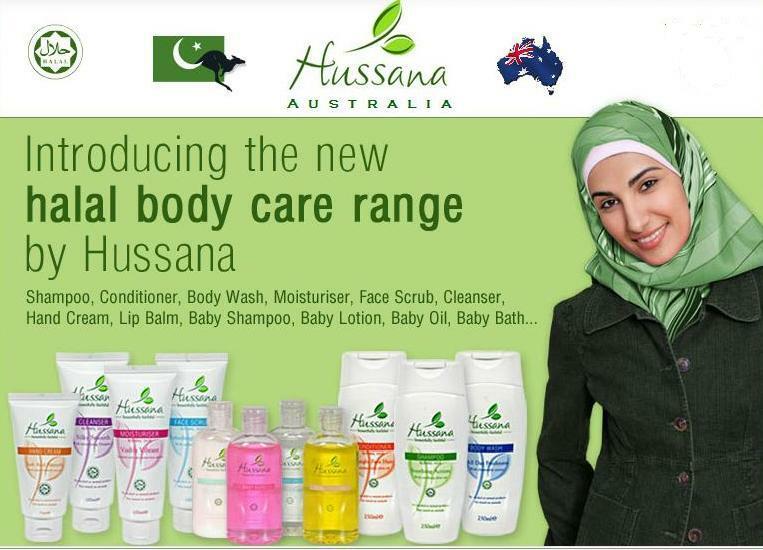 It actually made me feel more secure," the Muslim woman told IslamOnline.net. Security personal roamed the airport, Ali�s bags were opened and thoroughly checked, she was carefully patted down, and after she finally reached her gate and waited to board, bomb-sniffing dogs passed through the terminal and scrutinized travelers� bags. s she flew from Richmond, Virginia, to Detroit, Michigan, on the same day of the failed December 25 plane bombing attack, Alya Ali felt no difference in the level of airport or flight security. As she flew from Richmond, Virginia, to Detroit, Michigan, on the same day of the failed December 25 plane bombing attack, Alya Ali felt no difference in the level of airport or flight security. "Though I was nervous, I wasn�t scared because I had nothing to hide," she asserted. "I even said thank-you to the airport personnel for doing their job. Coming from a hijabi, I think that made them feel good." Travelers within the US and especially coming into the US are already feeling the stress of new security measures just put in place. The Transportation Security Administration (TSA) recently announced additional security checks on people coming from or through 14 countries, all Muslims with the exception of Cuba. These new rules were added to long-term, sustainable security measures that have been already in place, including body pat-downs and bag searches at the gate for domestic and international flights at all US airports. Full-body scanners, which show the entire shape of one�s body in intimate detail, are also being installed at some airports. But the widespread use of such scanners is dependent on cost and gauging public reaction. Ali sympathizes with the decisions being made by the TSA. "Look at all the attacks and threats to blow things up in the world. Where is it coming from? It�s unfortunate that these groups are giving a bad image to the entire Muslim Ummah. So I don�t blame [non-Muslims] for their extra suspicions. What can you do?" How Hollywood Vilifies a People is a groundbreaking book that dissects a slanderous history dating from cinema's earliest days to contemporary Hollywood blockbusters that feature machine-gun wielding and bomb-blowing "evil" Arabs. Award-winning film authority Jack G. Shaheen, noting that only Native Americans have been more relentlessly smeared on the silver screen, painstakingly makes his case that "Arab" has remained Hollywood's shameless shorthand for "bad guy," long after the movie industry has shifted its portrayal of other minority groups. In this comprehensive study of nearly one thousand films, arranged alphabetically in such chapters as "Villains," "Sheikhs," "Cameos," and "Cliffhangers," Shaheen documents the tendency to portray Muslim Arabs as Public Enemy #1-brutal, heartless, uncivilized Others bent on terrorizing civilized Westerners. Shaheen examines how and why such a stereotype has grown and spread in the film industry and what may be done to change Hollywood's defamation of Arabs. � cup blanched almonds slices. 125g butter, 1 cup sugar, 2 eggs, � tsp bicarbonate of soda, 1tsp Cream Of Tartar, 1 � cups flour, � cup milk. 1cup milk, 80g icing sugar, � tsp vanilla essence, � cup water, 2 Tbsp corn flour, 2 eggs separated. Place topping ingredients in a pot and cook until light gold. Pour into one greased 20cm baking tin and leave to cool. Cream butter and sugar. Add eggs one at a time. Beat well. Add cream of tartar and Bicarb Soda and beat. Lastly alternate the milk and flour and fold in. Pour half cake mixture over the topping. Pour the other half of cake mixture into the other 20cm greased baking tin. Bake at 180 c for 20mins or until light brown. Place the cake without the topping on a cake platter. Make the custard and pour cooled custard over the cake. Place the cake with the topping over custard. Heat milk and add icing sugar and vanilla essence. Beat egg whites stiff and set aside. Mix the water, corn flour and yolks, add to the milk. Cook until mixture forms custard. Remove from heat and fold in egg whites. Leave to cool and then pour over cake. - Time to bounce back and start boosting your energy levels by committing to a daily walk (at least 30 - 40 minutes). - Detox weekly by trying to avoid sugar, caffeine, processed foods, etc. for at least two days each week. - You time - don't let a busy schedule rob you of some quality 'you time'. 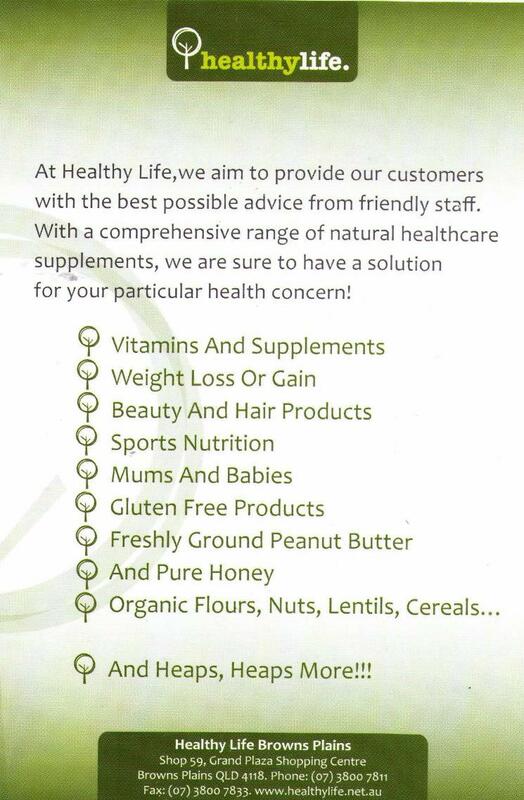 Make sure you look after yourself first and every one else around you will benefit! 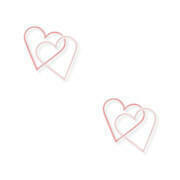 - Swap a coffee / lunch date with friends, for a walk in the park with them instead. 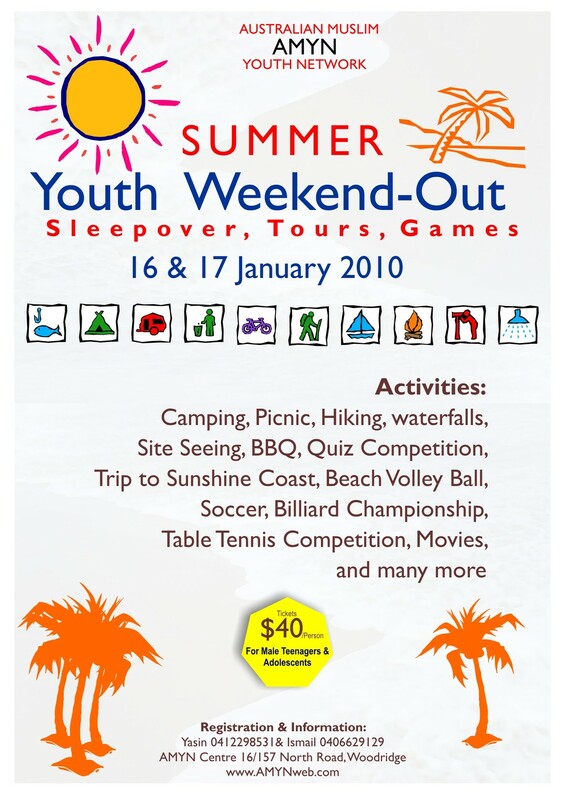 - Summer is all about backyard or beach barbecues - try throwing some seafood and veges on there as well. - Enjoy the best of the summer fruits on offer. - Make sure to wear your sunnies and sunscreen - get out and move more!! - Set aside some time (about 10 minutes a day) to do nothing at all - just reflect on what you can do to stay healthy. - Mix up your exercise routine - no matter what you do, try to improve / increase your strength and fitness levels by doing different exercises every so often!! - Keep challenging yourself - you'll be surprised at how far you can push yourself! Mula Nasruddin asks his local hakim (doctor) for something to cure hiccups. The hakim reaches out and slaps Mula Nasruddin's face. 'Why did you do that?' Mula Nasruddin yells. Ladies Taleem is closed for the school holidays. 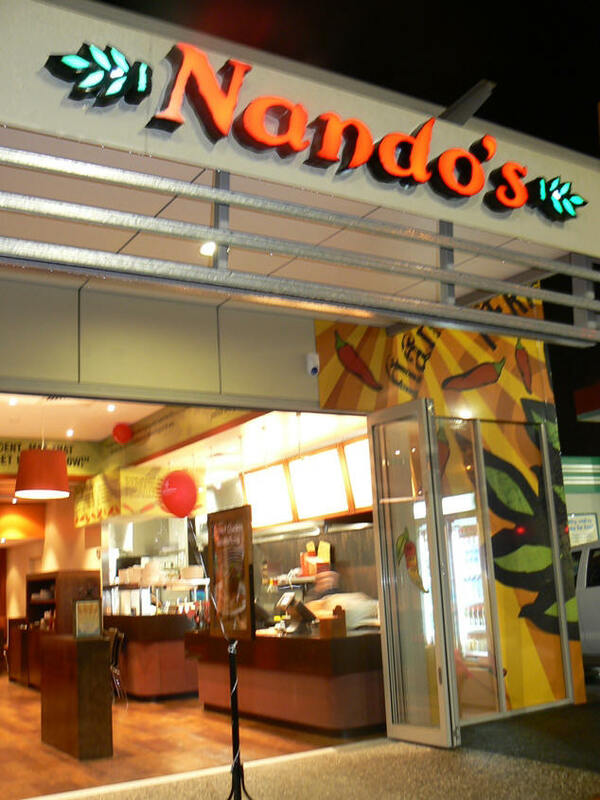 It will re-open, Insha Allah, in January. Further notice will be given via CCN.